What is a POE endspan? A POE endspan device would be a device such as a POE enabled switch which is placed at one end of the network cable and injects the POE power onto the network cable. 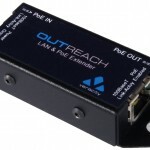 As distinct from a midspan device, which sits at some point along the network cable and injects POE power. Ethernet Over Power is NOT the same as Power Over Ethernet. Ethernet Over Power is more commonly known as Mains Networking, whereby the existing mains power cabling in a property can be utilised (by means of special adapters) as an ethernet network. Several manufacturers are now using branding such as Powerline or Homeplug to encompass these solutions. You will need at least two of these Mains Networking adapters. One used adjacent to the router or switch, and the other positioned adjacent to the device which you wish to reach and add to your network. These adaptors typically take the form of a mains plug styled unit with a connector socket for an RJ45 plug to enable you to connect your network. Mains networking is a good option for situations where it is difficult to extend your network to reach the new location, but where mains sockets fed from the same area as your main network already exist – outbuildings such as garages or garden offices are a good example. NB in industrial 3-phase applications you need to be sure that both sockets used are on the same electrical phase. Mains networking is also good for applications where it proves difficult to achieve consistent wireless network performance e.g. homes with thick walls or too many walls between the two locations, or even in castles or stately homes where the walls may simply be too thick for consistent wireless transmission. The latest mains networking adapters can provide a link with a network speed up to 200Mbps and are becoming common place for media links, for example where audio and movies are stored on Network Attached Storage (NAS) at some position in the home and the homeowner then needs a good network link from this NAS to their home cinema setup in the lounge. In addition to single plug adapters multi-outlet switches and hubs are available. As far as we know there are not any devices yet which combine power over ethernet with mains networking e.g. use an adapter for the network over mains which can also provide the typical 12V DC barrel plug lead to power a VOIP phone or network camera. Unless you know different? Traditionally, with systems such as CCTV it was quite difficult to maintain power to cameras in the event of a mains disruption. Typically the cameras in the field would have been connected to the nearest mains supply point and a local battery backup solution was needed, or perhaps (if it was a well-planned intention from day one) a central power supply was installed with sufficient batteries to feed all the cameras and power distribution cables running from that central point to each camera. Plainly, it’s much simpler to achieve continued blackout operation via POE, simply feed the power over ethernet injectors or hub from a standard PC-type mains UPS and your CCTV system can keep operating through a power cut. NB – don’t forget the network switch and NVR (Network Video Recorder) or PC that you’re using for recording, these will need a UPS-maintained supply too (depending on your system layout you may need multiple UPSs or might be able to keep it all running with just one). Of course the same applies to other POE-fed solutions such as VOIP telephones or wireless networks. What is a POE midspan hub? They’re called midspan devices quite simply because they sit (are installed) at some mid-point along the data network cable lenghth i.e. they do not need to be at the source end (typically the server room, network switch or router position), nor do they need to be at the device location. Typically the midspan will be positioned at some point along the network cable run which is convenient for access/installation; near to a mains socket to supply it with power; and within the normal distance limitation of within 100 metres of the device to be powered by the POE midspan. Of course, this ‘mid’ point does not have to be in the middle of a network cable length, the midspan could in fact be sited right alongside your central point network switch! A midspan performs the same function as a single port POE power injector (it injects power onto a data cable), it has simply become convention for multi-port devices to be called midspan hubs rather than multi-port injectors. The term hub is used to simply reflect the meeting point of cables, potentially lots of cables going in and out of a hub device. Most POE hubs are simply pass-through devices where power is added to the network cable e.g. there will be a ‘Port 1 IN’ and a ‘Port 1 OUT’ – the network cable goes IN with no POE and comes OUT with POE added. Hubs are available in 4,8,16,24, etc ported versions. Be careful to ensure that your hub has enough power to supply the number of devices you might want to connect to it; some hubs have a total power budget others promise a certain wattage per port. Do I need a power over ethernet splitter? Many network devices such as network cameras, VOIP phones and wireless access points are POE ready. This simply means that they have the circuitry built within them to accept power supplied to them via the data cable. 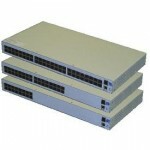 Therefore, they can be supplied with both power and data via a single network cable. However, this does not mean that because a device is not ‘POE enabled’ it cannot be supplied via the advantageous single cable POE method! If you use Power Over Ethernet, then (at the device end) use a POE splitter to separate the power from the data and present them to the device in the normal way e.g. 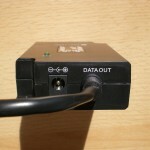 RJ45 plug for the data and typically a barrel plug for the power, then the device is unaware of the fact that POE was used to reach it! Check the voltage that your device needs; splitters are available for 3.3V, 5V, 9V, 12V, etc. Understanding POE (Power Over Ethernet) from Peter Brissette on Vimeo. Power Over Ethernet (POE) allows power and data to be carried over the same network cable to a device. This ability to supply power to a device via a single easy-to-install (low-voltage) network data cable is very attractive to users. The use of a single cable for power and data enables users to self-install new devices, negating the need for new mains power outlets requiring installation by certified electrical contractors. POE technology is now well developed and can be used over greater distances and to supply higher power loads than was initially the case. Typical devices to be fed via power-over-ethernet might be network cameras, wireless access points and Voice Over IP (VOIP) telephones, but, with the right combination of POE injectors and splitters, many different devices can be adapted to accept power over ethernet. As with any developing technology there is a degree of technical complexity associated with POE, we have created this site to deliver news, information and explanations which will help you to understand POE and to take best advantage of what the technology enables you to do. 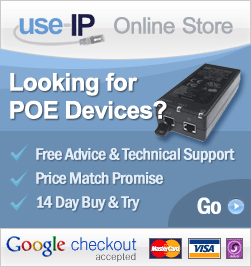 Follow this link for our current range of Power Over Ethernet products.